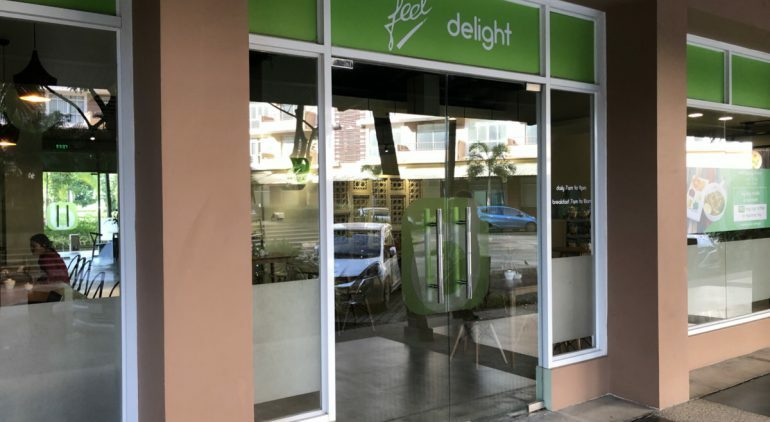 The New Restaurant “Feel Delight”was opened on 5th Sep 2018 at ground floor of Star City Building-A2. Feel Myanmar is very famous restaurant in Yangon. That is published in myanmar guide books of several countries and so is popular by foreign travelers, foreign residents and also local people.The owner use the pure and fresh oils, not to use that so much and save the chili also to match as the foreigners taste.Besides they care the restaurant to be clean anytime then that makes there to be popular. This Restaurant seems to be managed by several cofounders are the owner of Feel Myanma,FMI Co.,Ltd is developer and management of Star City and more. located on Pyi Htaung Su Yeikthar Street is also same style but Its different that customers choose from menu then order the cuisine same style as the other foreign restaurant at Feel Delight@Star City. It seems they would like to be match as foreigners more because mostly residents are from several countries at Star City. They have many burmese cuisine in their menu, mohingar(fish soup noodle as burmese style),Myanmar curry&rice, Fried noodle and Grilled fish and so on. Mostly restaurants at Star City are a little expensive than the other area but it is almost same price as local restaurant like Mohingar 800MMK, Fried noodle 2,500MMK. That a bit lower price is good for the residents as daily use. Here is still soft opened as of today but many people visit and enjoy their meals. Then it is available to delivery for the residents at Star City. This new great restaurant makes the fascinating of Star City much higher than before.